Join Professor Jack Foster in his worldwide adventure to search for the lost treasures of Da Vinci! Journey across the world to help Professor Jack Foster search for the Lost Treasures of Da Vinci. Search for clues and discover lost treasures as you embark on this exciting jewel matching adventure. Lead Professor Foster through the home of DaVinci in Florece, Notre Dame de Paris, New York Museum of Ancient History and the mysteriuos places of Asia. 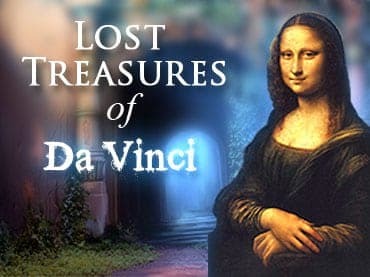 Can you find all clues and recover the Lost Treasures of Da Vinci? Free Game features: - 2 Different Game Modes; - 77 Mind-blowing Levels On Each Game Mode; - Exiting Storyline; - Many Unique Power-Ups; - Full HD Quality - 1920x1080. If you have questions about Lost Treasures of Da Vinci game, please contact us using this form.